So you’re feeling a little guilty, right? You spent a ton of money at the craft store and you have all of these awesome supplies, but you just don’t use them. It’s called craft stash guilt and it’ll all but consume you if you let it. You know, because you feel like you wasted entirely too much money and you have nothing to show for it. 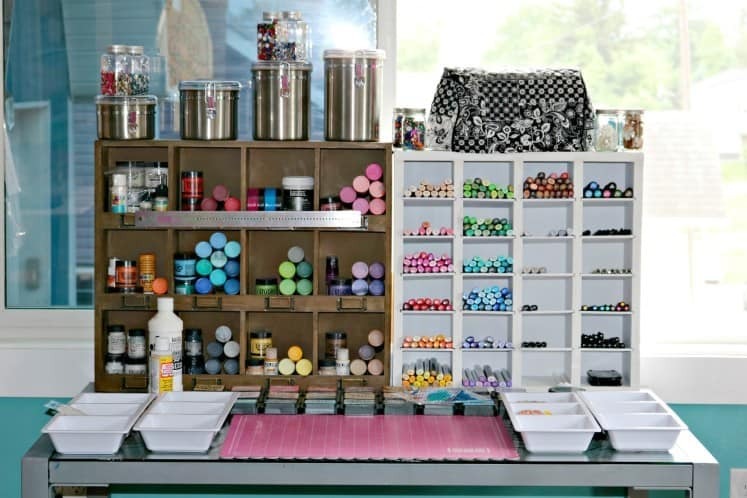 These supplies have been hanging out in your craft room for months or even years and you probably haven’t touched them since you took them out of the bags. If you even managed that much, right? And really, why not? Because you’re not organized enough? Because you’re just not into it anymore? Because you don’t have time? Or maybe because you’re caught in a vicious cycle. 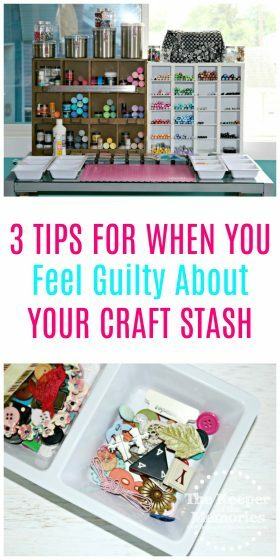 Are you suffering from a serious case of craft stash guilt and you’re not really sure how to make yourself feel better about it? No worries! I’m here to give you a few ideas for things to do with all the craft supplies that you’re hording. Here are three ways to make yourself feel better about all the money that you just had to spend on stuff that you’ll probably never use. Use it. Yep! I know that sounds almost too easy and I do realize that there’s a certain point when you become paralyzed and it’s just not going to happen. You have too much stuff, not enough space, you don’t know what to do with it, and you feel like crap for spending all that money. But guess what? Only you can change that. You have to take the initiative and start somewhere. 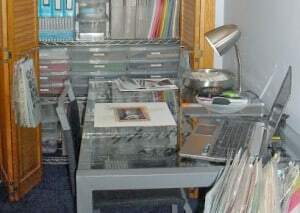 Whether that means grab an old kit and get to work or even just print a few photos, do something because sometimes being creative is a momentum thing. And once you start, you won’t be able to stop. Isn’t that what you were looking to accomplish all along? Re purpose it. Do you have little kids? I know that more often than not we use lots of my craft supplies when we’re doing kids’ projects. And while I’m working, the little guy’s always into my stuff. Sure, it’s not getting used for its intended purpose, but it’s still getting used and the simple fact of the matter is that it’s not going to waste and I’m not throwing it away. He loves making stuff and I love seeing his creativity. That in itself makes it worth it. I mean, think about it. That pack of stickers that I wasn’t going to use and would otherwise have just ended up in the trash became an awesome collage at the hands of my four year old. Worse things haven’t definitely happened. Donate it. There are so many organizations that would be more than happy to take what you don’t need or don’t think you’ll ever use. Not only are you unloading some of the clutter that’s taking up space in your craft room, but you’re also giving it to a really good cause. Think preschools for the kids’ art centers or maybe even local hospitals. The possibilities really are endless. I’m sure you could find at least a few businesses that would be all for taking some of your unwanted supplies. And just think, it’s not a waste of money if it turns out to bless someone who would probably have otherwise gone without. I know that none of these ideas take away from the fact that you spent more money than you should have, but that’s okay. You can totally start over tomorrow. Get your craft room organized, get rid of what you’re not using, and make better decisions going forward. You’ve totally got this, mama! Do you have a serious case of craft stash guilt? Leave a comment and share your experience and how you overcame it.